A Bristol man has been fined £220 and ordered to pay £500 in costs after being found guilty of duty of care offences that led to waste being fly tipped at a rural location in Westerleigh, South Gloucestershire. James Buckley, aged 23, of Whiteladies Road, Redland, Bristol trading as JB Landscaping (not connected to JB Landscapes of Drummond Road, Fishponds), was sentenced at Northavon Magistrates Court on 5 March following an investigation by South Gloucestershire Council’s Envirocrime enforcement team. Buckley had failed to attend a previous hearing last year, but was arrested in London and bailed to attend court. 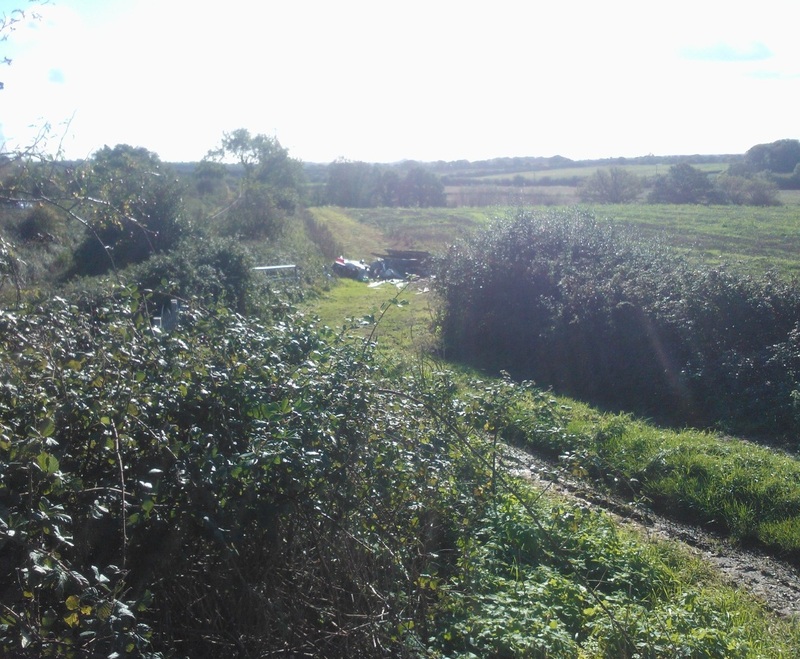 The court heard that in October 2013, a local farmer found a substantial fly tip featuring the remains of an old shed and household clearance waste in one of the fields he farms adjacent to Nibley Lane in Westerleigh, South Gloucestershire. 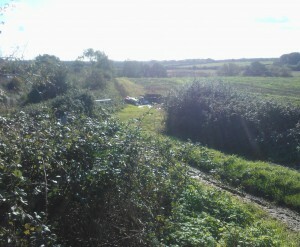 The fly tip also contained evidence relating to an address in Filton and it was found that the residents had responded to a flyer put through their letterbox advertising the gardening services of JB Landscaping. The Filton householders had employed the company on a number of occasions to do various jobs in their garden such as grass cutting and hedge trimming. In mid-October 2013, they again phoned JB Landscaping and the usual man turned up to do some gardening work. Whilst there the man offered to take away an old dilapidated shed that was in the garden and a price of £160 was agreed for him to remove the shed and its contents the next day. The Envirocrime team’s enquiries failed to positively identify an address for JB Landscaping or the man who took away the waste. Working in partnership with the police, a “sting operation” was arranged and when JB Landscaping turned up to price for a job, the owner Mr James Buckley was interviewed under caution. During the interview Buckley admitted that he removed the waste from Filton with another person. He admitted that he did not have a Registered Waste Carriers Licence or a Waste Transfer Note for this waste or for any previous waste he had carried as part of his business, and claimed that he did not realise he needed one. He claimed that a man in a yellow flatbed van flagged him down and offered to take the waste off him. Buckley claimed to have paid the man £5 to take the waste, but could not provide a name or telephone number for the man or a registration number for the vehicle. Buckley entered a plea of not guilty when brought before the magistrate. He was found not guilty of the fly tip, but found guilty of not having a waste carriers licence, and not providing a waste transfer note. These duty of care requirements are designed to ensure an audit trail of the waste from producer to final disposal to help prevent fly tipping. Chair of the council’s Communities Committee Cllr Claire Young said: “This shows once again that if you are involved in the illegal dumping of waste in South Gloucestershire, you will be prosecuted. Legislation is in place to ensure that everyone who produces, handles or disposes of waste does it properly rather than fly-tipping illegally. There should be an audit trail that follows the waste from the producer to the eventual place of disposal. • Ask for a copy of the company’s waste carrier registration certificate and ask where the waste is being taken. Legitimate firms will be happy to provide this information.